Once arrived in Beijing, meet the local Italian-speaking guide and visit The Temple of Heaven 天坛, considered the major example of the Chinese classic architecture. Lunch not included. Walk along The Liulichang 琉璃厂, the artists’ street. At the end of the visit, transfer and check-in at the hotel. Buffet dinner at the hotel. Overnight stay at the hotel. After breakfast, meet the local Italian-speaking guide and visit The Tian an men Square 天安门广场, the Heaven Peace Square with The Mao Mausoleum, The People Palace, The Chinese National Museum and The People Heroes’ Monument. Then, visit The Forbidden City 故宫, the heart of the city that once upon a time used to be the exclusive Emperor court domain. Lunch at the Chinese restaurant. 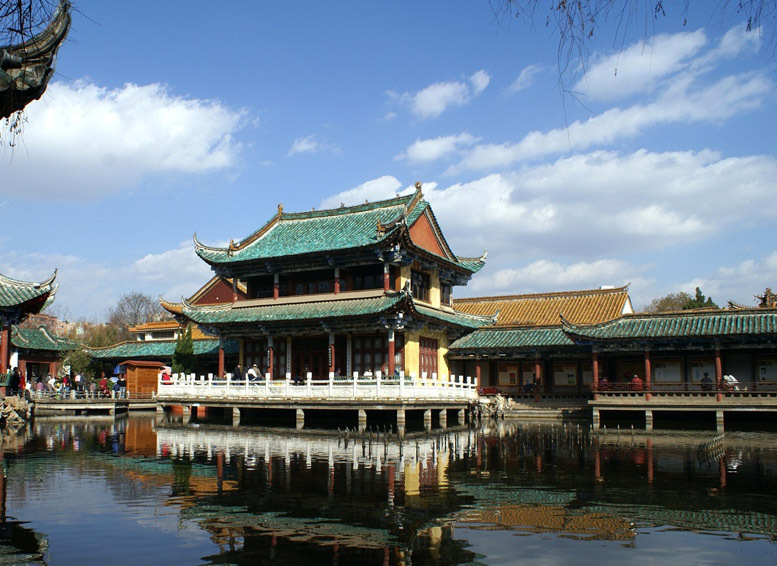 Transfer and visit The Summer Palace 颐和园，the summer estate of the Emperor that covers 290 hectares and gives place to the magnificent Kunming Lake and the Long life Hill. Banquet dinner with Beijing roasted duck at the Quanjude Restaurant. Overnight stay at the hotel. After breakfast, visit Badaling Great Wall 八达岭长城, the symbol of China and all over the world the unique landmark that could be seen from the Moon with more than 6000 kilometres extension. Lunch at a local restaurant. 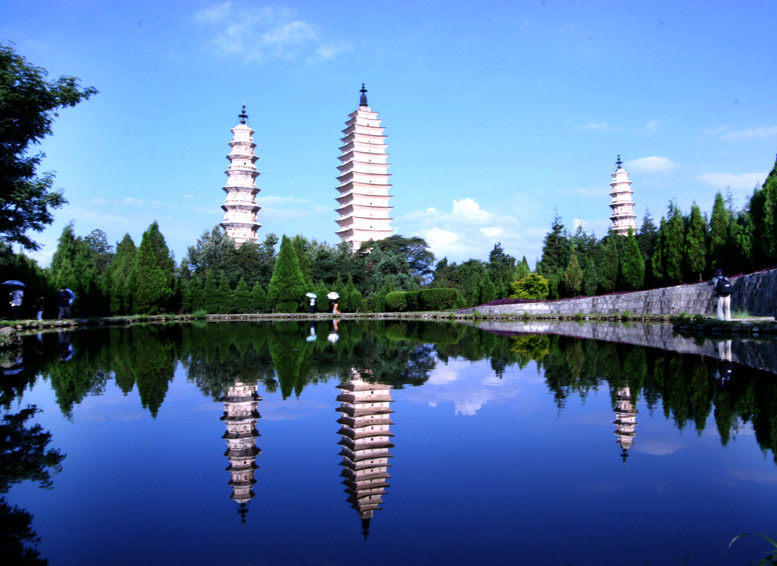 In the afternoon, visit The Ming Tomb 城 陵 and The Sacred Way 神路. Dinner at a local restaurant. Overnight stay at the hotel. After breakfast, meet the local Italian-speaking guide. Transfer to the airport and flight to Kunming. Once arrived in Kunming, meet the local English/Italian- speaking guide. Lunch at a local restaurant. In the afternoon, visit the green lake park Cuihu Lake 翠湖公园, considered Kunming precious green stone. Every year this park attracts thousands of red-billed gulls who move here to spend the winter. 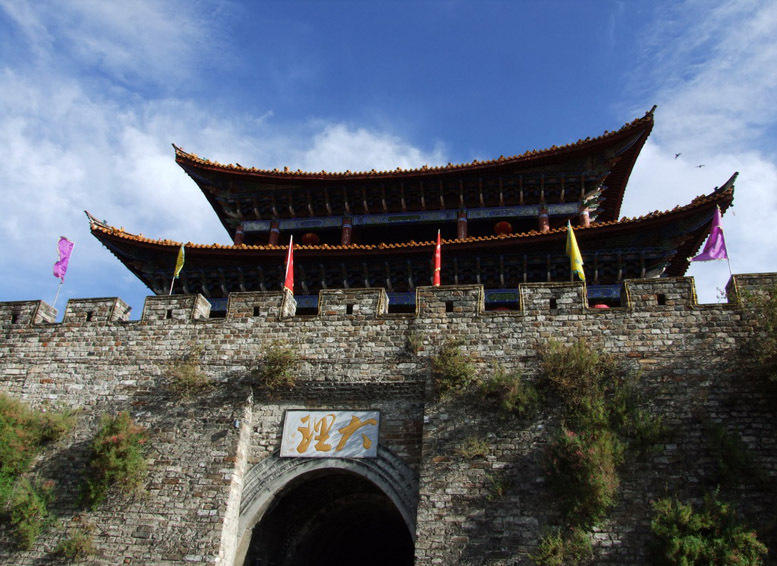 After visit the symbol of the city, The Jinma Biji Arch 金马碧鸡坊, built during the Ming dynasty, with over 400 years of history. Dinner at a local restaurant. Overnight stay at the hotel. After breakfast, meet the local English/Italian-speaking guide. Transfer to the airport. Flight to Dali. Once arrived in Dali, meet the local English-speaking guide and visit The Old City 古城, with its stone narrow streets and stone built houses surrounded by the ruin of Ming dynasty wall, The Three Pagoda Temple 三塔寺, Dali’s symbol, once upon a time part of the Chongwen Monastery, later destroyed during the Qing dynasty. Lunch at a local restaurant. After that, visit The Stranger Street 洋人街 which crosses the centre of the city, with a plenty of hotels and cafeterias serving pizza and cappuccino. Dinner at a local restaurant. Back to the hotel and overnight stay. After breakfast, meet the local English-speaking guide and departure by private bus to visit The Bai Ethnic Minority Village 白族村. Lunch at a local restaurant. After lunch, transfer to Lijiang. 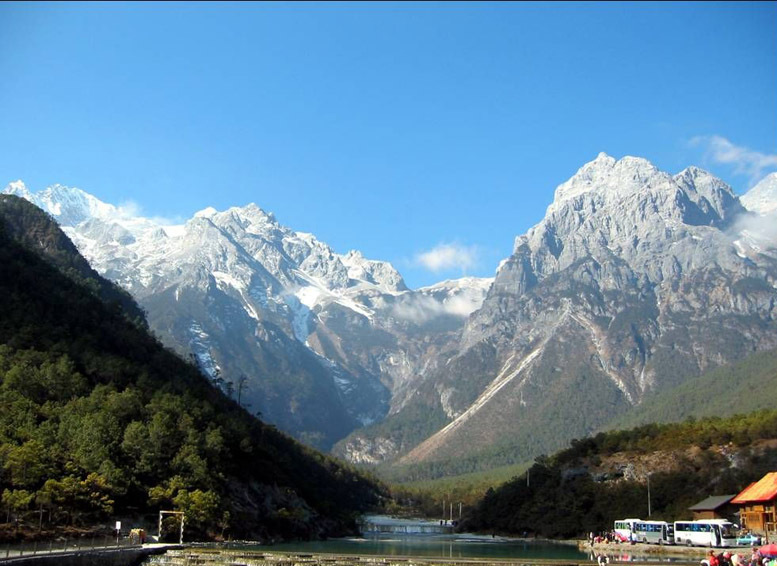 Once arrived at Lijiang, visit The Old City 古城 and The Black Dragon Lake Park 黑龙潭 . Dinner at a local restauarant. Transfer to the hotel and check-in. Overnight stay at the hotel. After breakfast, meet the local English-speaking guide and transfer to Shangri-La. During the journey, visit The Tiger Jump Gorge 虎跳峡, a pleasant excursion following Jinsha River flow, along one of the deepest gorge all over China. The origin of its name is related to a legend: according to the legend, here a tiger escaped from its hunters jumping from an edge to the other of the narrowest part of the gorge. Lunch at a local restaurant. Once arrived at Shangri La, transfer to the hotel and check-in. Dinner at a local restaurant. Overnight stay at the hotel. After breakfast, meet the local English-speaking guide and visit to The Pudacuo Forest Park 普达措森林公园, where you can admire Shudu Lake 属都湖, Bita Hai 碧塔海 , an emerald lake in which there are plenty of protected species, and The Tibetan Culture Xia Village 霞给藏族文化村. Lunch and dinner at the local restaurant. Overnight stay at the hotel. After breakfast , meet the local English-speaking guide and transfer to the airport. The flight to Kunming to go back to Beijing. Once arrived in Beijing, meet the local Italian-speaking guide, transfer and check-in at the hotel. Meals not included. Overnight stay at the hotel. After breakfast, meet the local Italian-speaking guide, transfer to the airport and flight back to Italy.